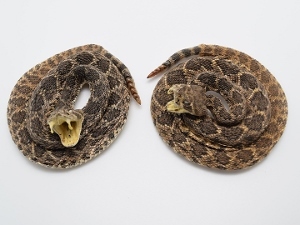 These are real mounted Prairie or Texas Western diamondback rattlesnakes. 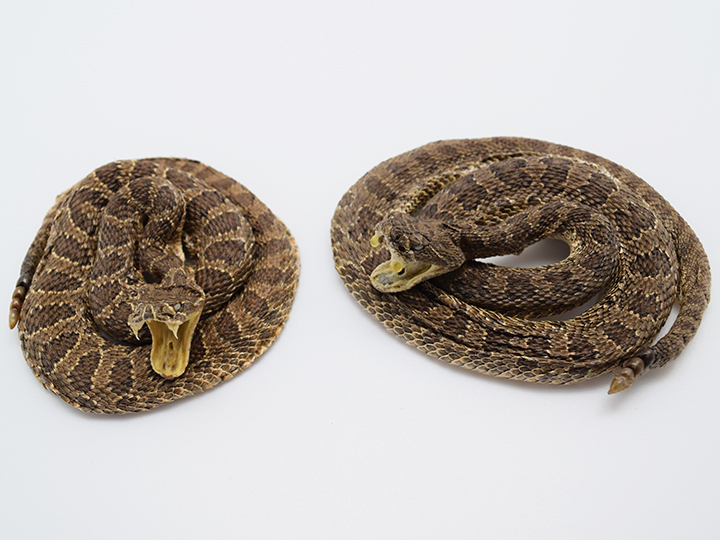 They are available in two mounted styles; striking and coiled. 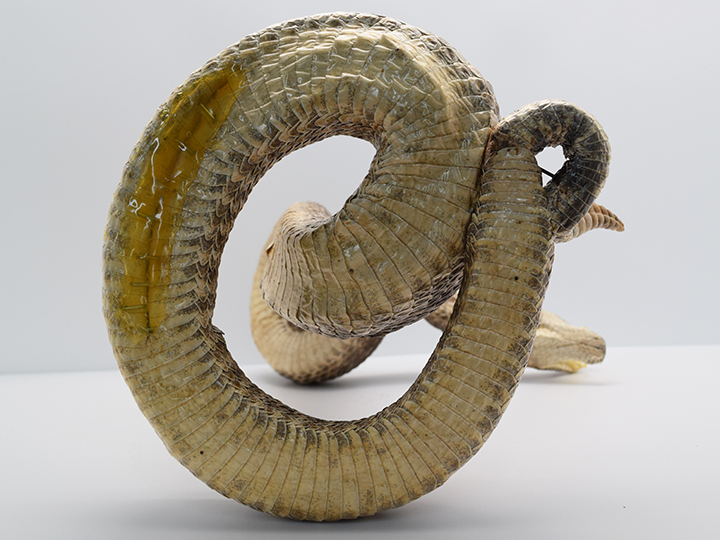 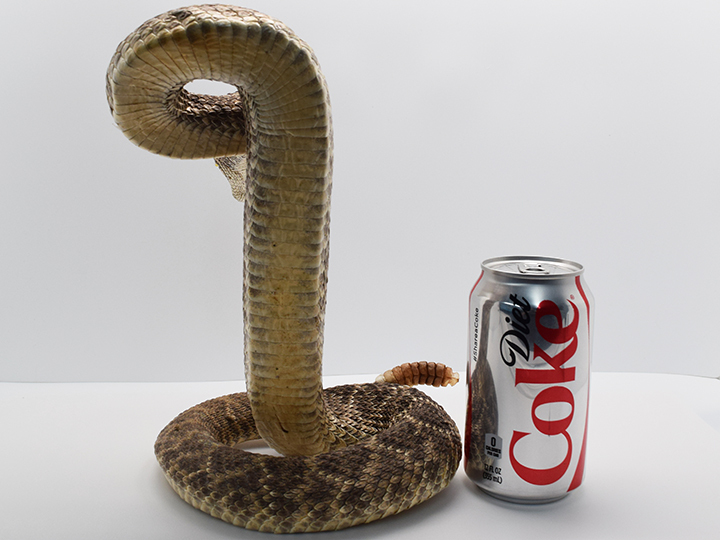 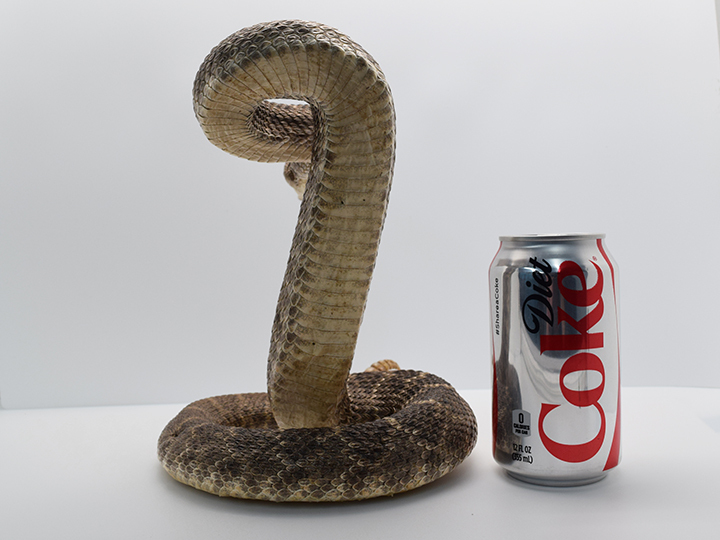 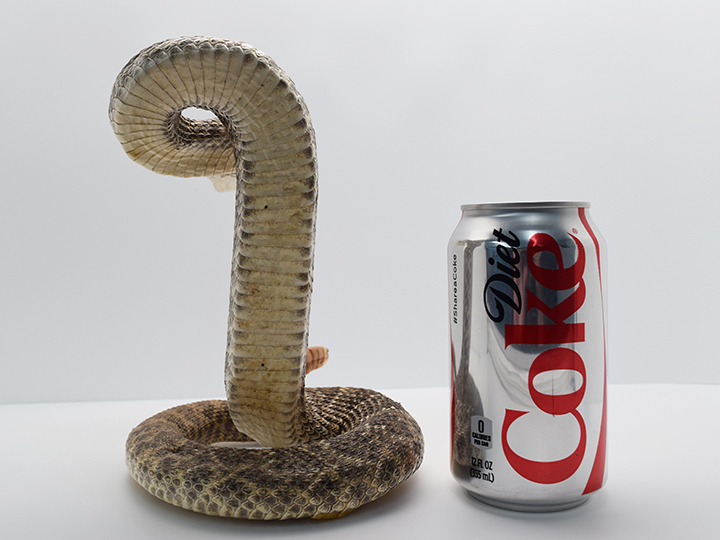 The 32"-38" striking mounted Texas Western diamondback rattlesnake is about 7" tall and 2" wide, with a base width of 5.25" and weighing 3.8 oz. 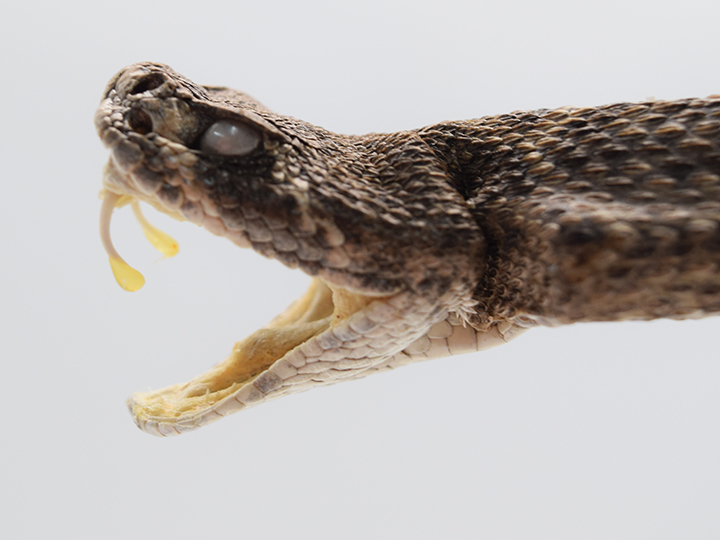 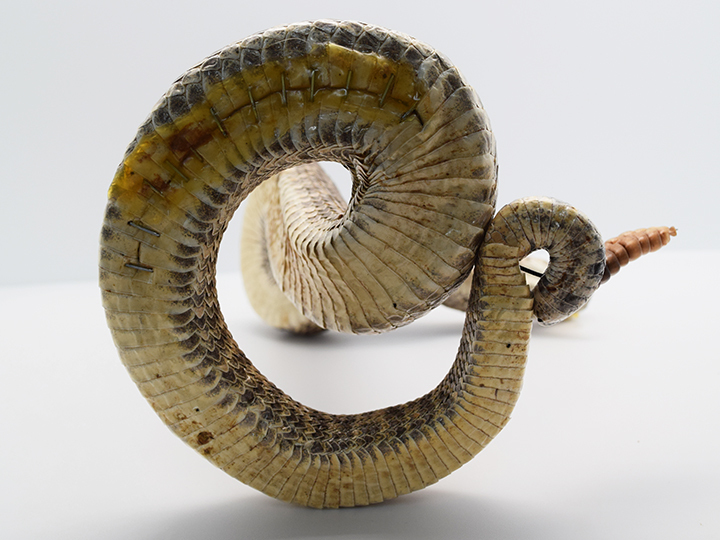 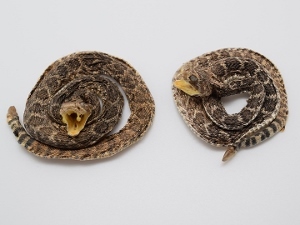 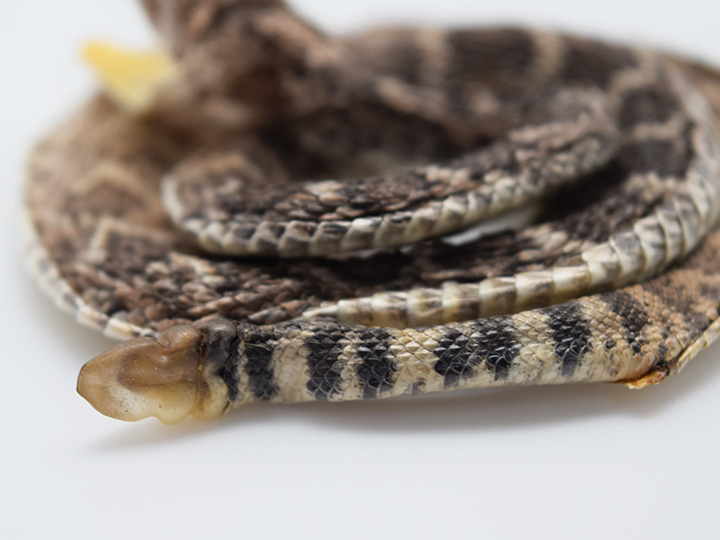 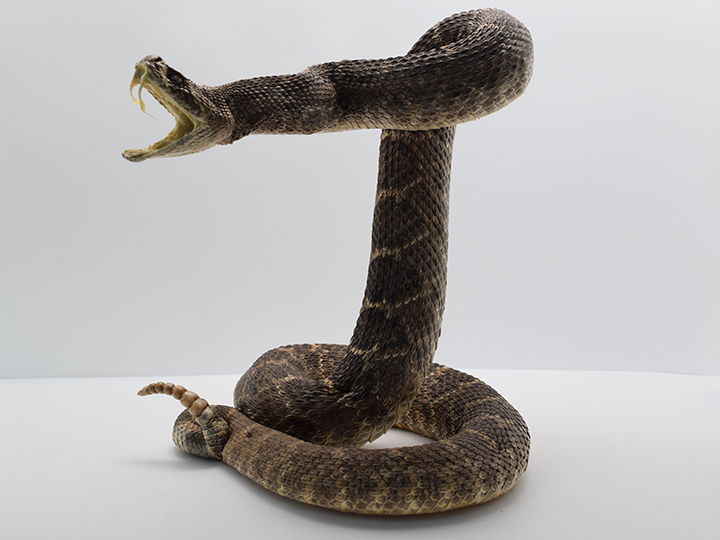 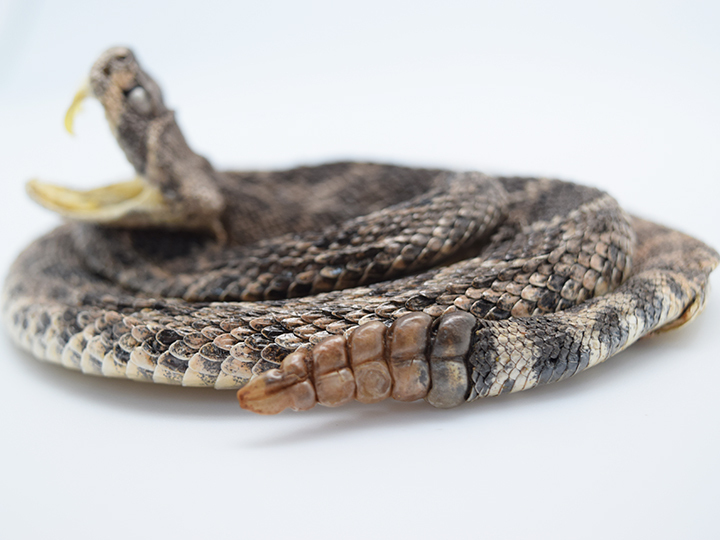 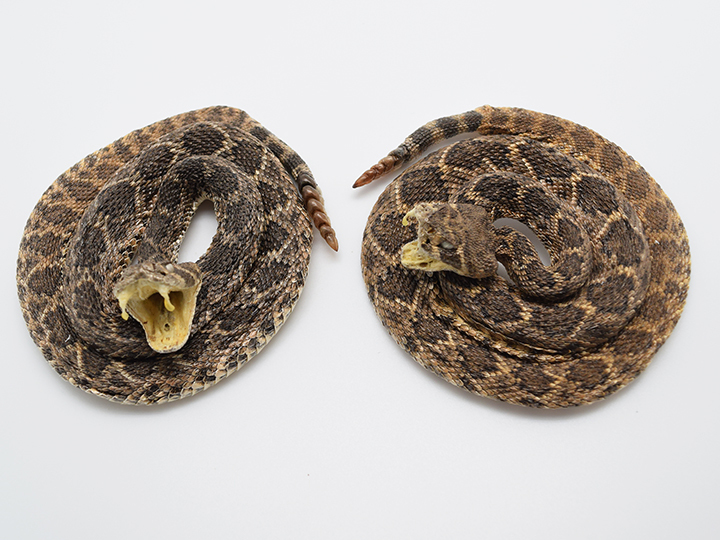 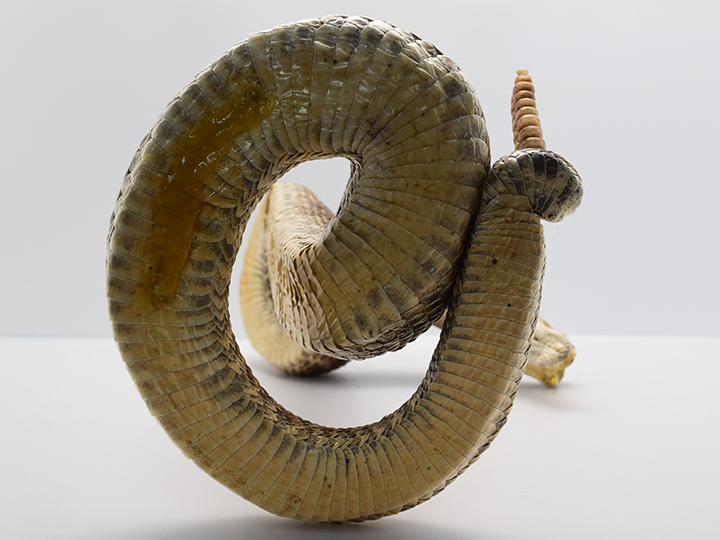 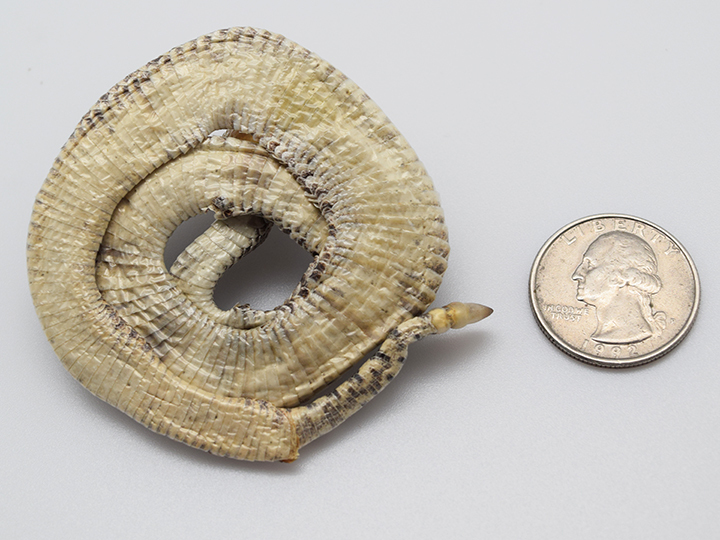 The 39-43" mounted rattlesnakes are 9" tall, 2.5" wide with a base width of 7", while the 44-47" are 10" tall, 2.25" wide with a base width of 6.5", and weighs 4.9 oz. 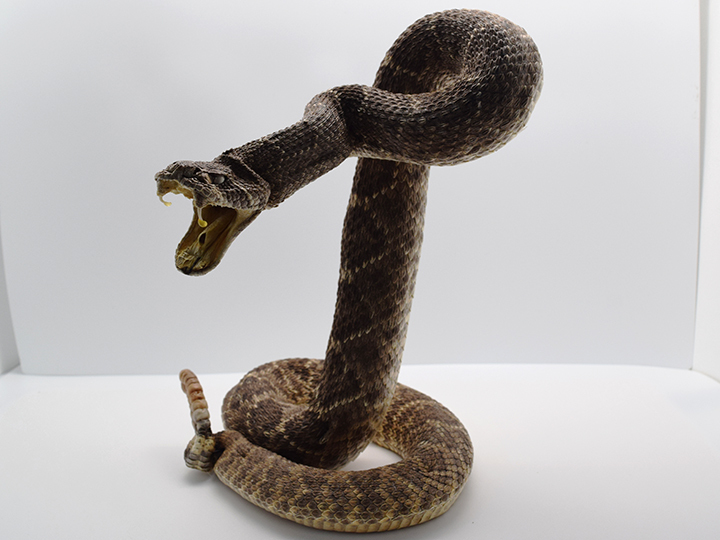 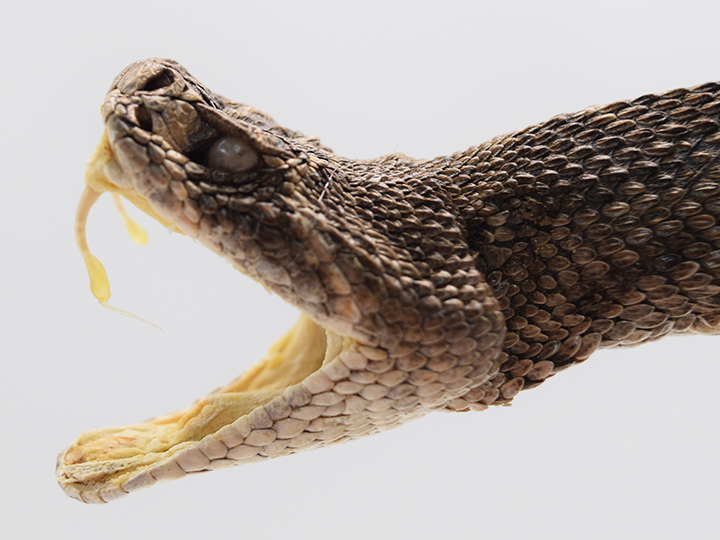 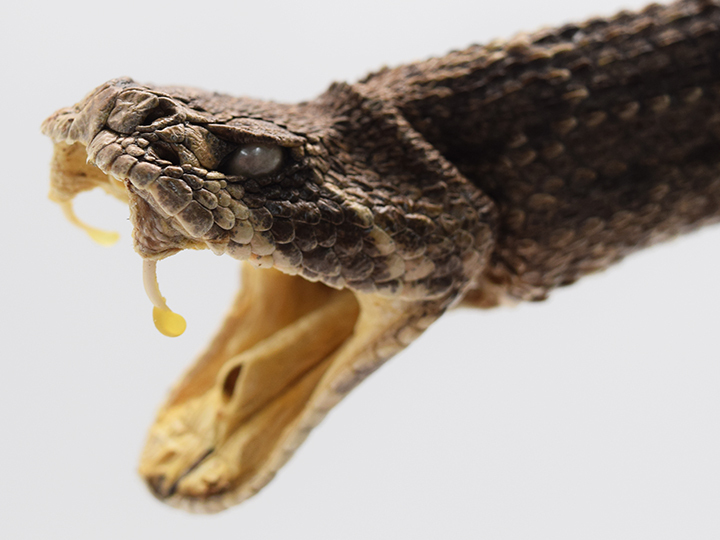 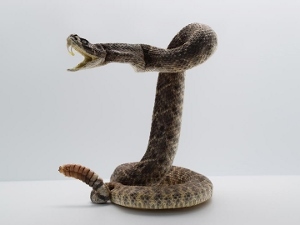 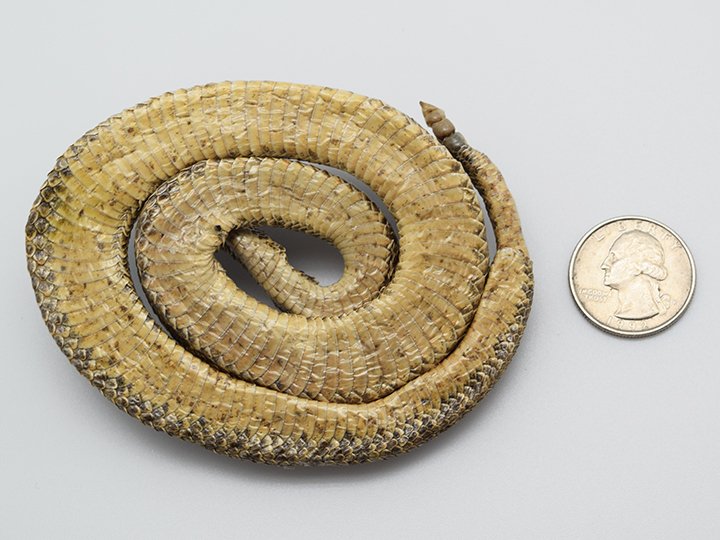 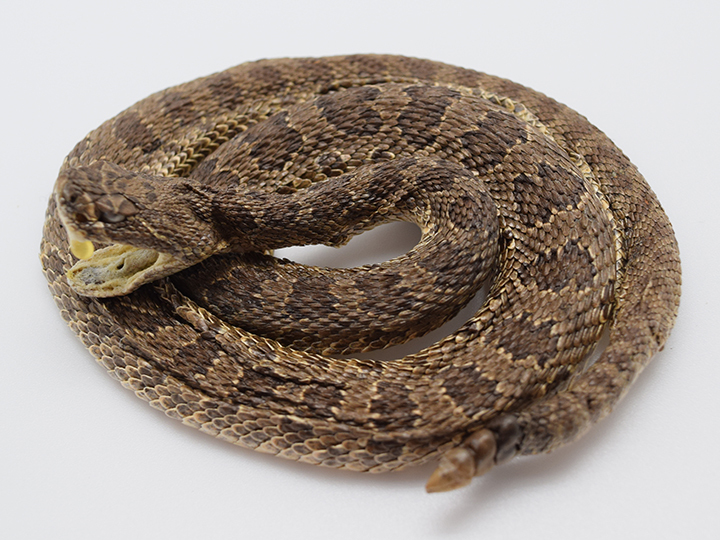 The Large coiled prairie rattlesnake is about 4.25" long and 4.25" wide, weighing 21 grams; the Medium is 3.75" long by 2.75" wide, weighing 8 grams; and the Small is 2.25" long by 2.25" wide, weighing 5 grams. 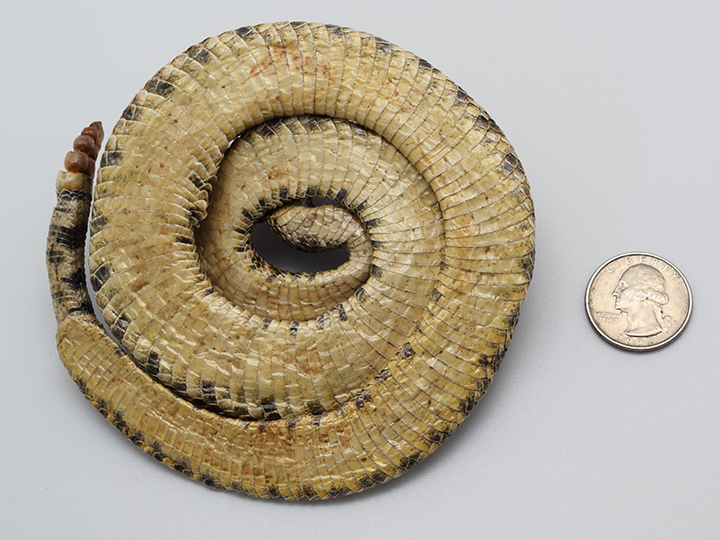 Please note that the coiling of the snake might differ from one to another. 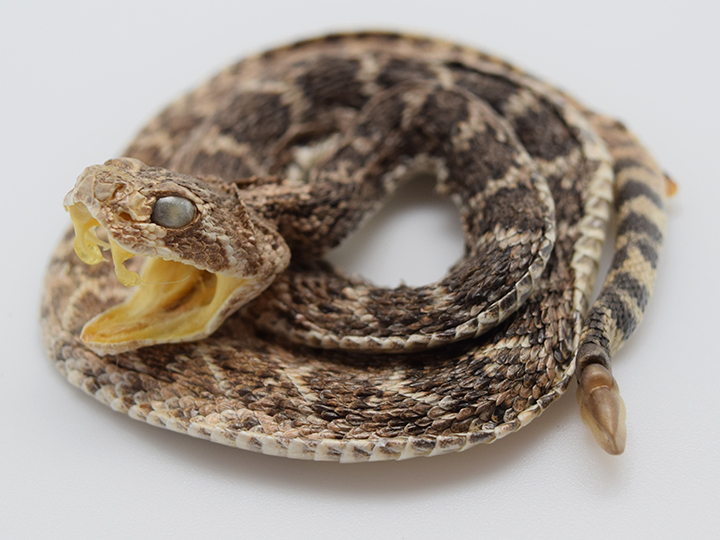 Prairie and Texas Western diamondback rattlesnakes are not endangered and are not subject to CITES controls.